You are here: Home / Opinion / Can Apple Go Completely Wireless? 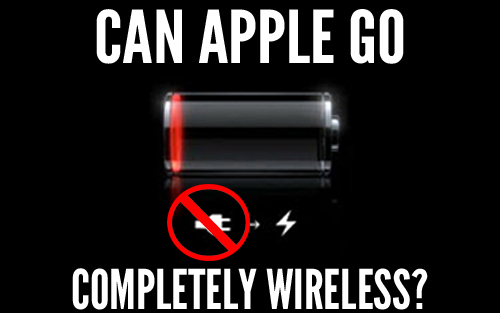 Can Apple Go Completely Wireless? Everyone hates wires. Nobody ever got a brand new phone and thought, “Hey, I can’t wait to see how the charger plugs in!” With this in mind, it’s no wonder that researchers have been working on ways to charge devices without wires. While inductive charging is nothing new, getting it to work flawlessly with phones, laptops, and even displays is where it has fallen short. It seems that for wireless power to get any real foothold it will take a giant in the industry like Apple to make it happen. While we’re not talking about wireless power transmission to your house like Nikola Tesla dreamed of, we are talking about charging your phone by just setting it down, or giving your laptop a full charge just by having it on your desk. The technology is there and Apple can make it happen, if they want to. 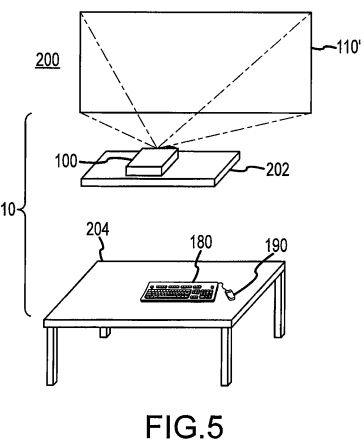 Apple was recently awarded a patent for a wireless desk-free computer system that uses a projection display. Basically this means the computer itself has a projector built in that replaces the need for a physical display. Pair with this a wireless keyboard, wireless mouse, and wireless inductive charging and you’ve got a completely wireless computer. As for the power aspect of this, inductive charging is a technology that uses an electromagnetic field to transfer energy between two objects. This means all you have to do to charge your phone or MacBook Pro would be set it on the charging area and it would immediately start. 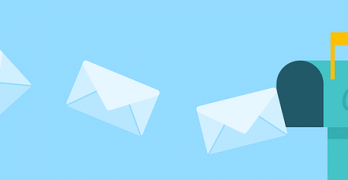 This technology is nothing new, as there are a number of devices that use this right now. If you’ve ever had a rechargeable electric toothbrush, you’ve seen inductive charging in action. 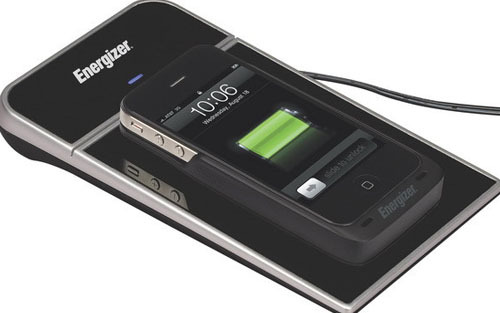 Energizer, maker of countless types of batteries, even makes add-on batteries for some phones and other devices to give them inductive charging capabilities, but since the iPhone and MacBooks have non-removable batteries, this isn’t an option for them unless you use a case with the technology built in. There have even been examples of inductive charging that will work over a few meters as well, which could make a charging-enabled desk a reality. Apple has been leaning towards wireless devices for some time now, slowly adding bits and pieces of the wireless puzzle. The first step was the introduction of iCloud backup for iOS devices. This means that a person could use an iPhone without ever plugging it in to a computer. With iCloud backup the only reason to plug a phone in now is to charge it. Jump ahead to the latest beta of iOS 7.1 and the introduction of iOS in the car is making itself known. Now people that want to plug their phone into their car for sound and navigation can do so wirelessly. Once again, the only reason to plug your phone into your can now would be for power. iTunes in the Cloud gives users the ability to get music, TV shows, and even movies onto their phone without ever syncing to a computer. Wireless entertainment, straight to your iPhone. The only thing still tethering iOS devices to a wire is power. 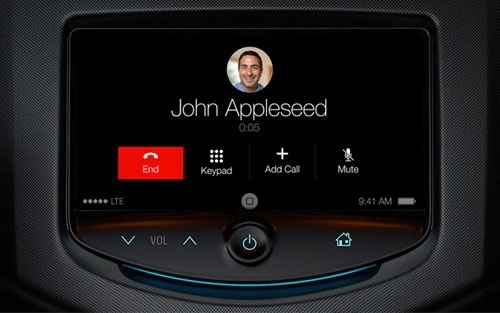 With inductive charging this would be a thing of the past. Not only talking about iOS devices, MacBooks have slowly been less and less reliant on cables as well. With Thunderbolt being able to support daisy chaining, less wires are required to be plugged into the MacBook Pro. Add to this the lack of Ethernet on the MacBook Air and it’s easy to see how Apple is leaning towards less cables. Apple’s expansion of Airplay capability for all of its devices lends more credence to a fully wireless plan as well. With all these cables gone, it’s not a stretch to imagine the power cable going next. The only issue with inductive power is charging your device when you’re away from the charging base. This could be easily solved with a pseudo power cable that would be a mini inductive charger that could magnetically attach to the MacBook or iPhone, giving it power when you’re away from your desk. With your devices charging the entire time they sit on a desk this wouldn’t be very necessary, though. 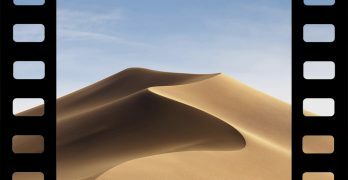 Apple loves to surprise us with new and wild product redesigns. The newly released Mac Pro is a great example of this. With its revolutionary design and killer looks, this is exactly what Apple is great at. With this in mind, if Apple started designing all their new devices with inductive charging, this would open up a whole new world of possibilities. iPhones and iPads could become more sleek and possibly even water tight! MacBook Pros could gain a pick up and put down ease of use that would make them perfect in office environments, coffee shops could embed chargers in their tables, and libraries could have laptop-specific sections where charging is available. If Apple wants to be the quintessential technology company, a move like this would be monumental. Wireless is definitely the way to go. Besides, how much does Apple spend on replacing broken power blocks that are under warranty? The only true thing you can say about predicting what Apple will do is that Apple does what they want. They make moves that very few ever see coming, so while wireless power would be amazing, this is also the company that didn’t allow us to change our iPhone wallpaper for years because its what they wanted. Do I think Apple is moving towards wireless? Definitely. Do I think its any time soon? Who knows for sure, but if I were a Magic 8 Ball, I’d be saying that All signs point to yes. Adding wireless charging to a phone means including extra components that will make the phone thicker and heavier as well as adding cost. I’m referring to the inductive antenna and associated circuitry required to receive, rectify, and regulate the power. Is it worth it. So far Apple doesn’t seem to think so. The only advantages I can see to setting the phone on a charging pad versus plugging the phone into a dock is that the pad is less fussy about positioning, and you don’t have to worry whether the phone’s protective case will interfere with the connection. A well designed dock can minimize the latter issue. Of course, most wireless charging pads occupy significantly more physical space than a dock, and unless protected like the huge one in the picture, are likely to get covered and hidden by other stuff (at least on my desk). While wireless charging could be nice to have, plugging a phone into a dock is really not a big deal. 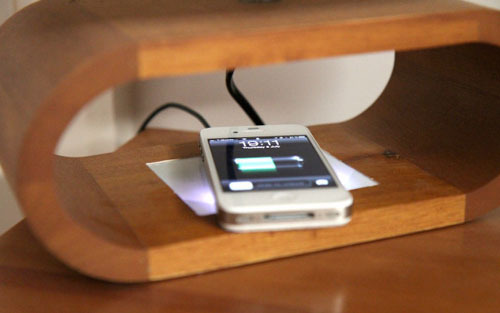 Wireless charging is a bit of a solution in search of a problem. It makes for another bullet point in the feature chart wars, but is hardly a must-have.